and in news, content and publishing operations. Currently, I am working as an independent professional, providing marketing and communications expertise, mostly to consultancies, law firms and growing businesses. I wrote hundreds of pieces of substantive website content for the Robert Wood Johnson Foundation, an organization that funds healthcare policy research in support of its mission "to improve the health and health care of all Americans." Much of my work was summarizing and translating scholarly health care policy research into clear language that highlighted its relevancy to a broad audience. I also wrote a briefing paper for the RWJF Board on tort reform and its implications for health care, based on underlying research conducted by the Foundation. One asset I hope I always bring to my work is being an adept writer, skilled at translating complex ideas and language into accessible, engaging content. For RWJF, my background as a legal journalist was certainly valuable in explaining topics such as insurance reform and the Affordable Care Act. If we talk, remind me to tell you a story about these lit messages in LRN's Fifth Avenue, NYC offices. Leading a team to develop and implement all branding in the company's new Fifth Avenue, NYC headquarters, including novel elements to represent LRN's company story and global thought leadership in corporate ethics. Working with a senior team to develop the CEO’s Keynote for the 2011 Employee Kickoff Conference; his presentation re-conceived the LRN brand and unveiled an organizational restructuring. Leading a collaborative team in initial planning of LRN's 2011 communications initiatives, including social media efforts, promotion of thought leadership, the expansion of internal staffing, and the hiring of a new communications agency. As the first marketing director for the Philadelphia Region of a traditional local newspaper company, I led marketing, communications, events and promotions to support online and offline audience growth and advertising sales. o Creation of numerous digital products, events and promotions. • Transformed a traditional newspaper promotions department with narrow capabilities, into a digitally-savvy creative services, marketing, events and promotions department that used an extensive array of traditional and digital opportunities to support audience and new revenue development. • Managed team of six that produced its own stream of revenue derived from events and merchandise, and also served clients across almost all departments in 300+-person regional organization. • Reported to Regional President and General Manager. Member of the senior Executive Team. For thirteen years, I was the Executive Vice President of an investor-funded publishing company, Vox Juris Inc. VJI published the LAWCAST® legal news services; these were bi-weekly, broadcast-quality, audio services that kept lawyers up-to-date on substantive legal developments in their specialties. (Imagine news-based Continuing Legal Education that sounds like NPR.) We built an innovative, award-winning niche content business that served thousands of lawyers and consistently attained subscriber renewal rates of over 90 percent. In 2007, we sold the company to a private equity investor. As a co-founder, I also worked on capital development and private investor communications. Learn more about LAWCAST and my role in the organization and hear a sample. From 1989-1994, I ran an award-winning marketing and communications agency that assembled freelance teams of professionals to fit each specific project. We focused on working with organizations that had big messages and lots of content. Clients included: a regional medical center; the state’s largest provider of housing for the elderly; an insurance company; community banks; a county chamber of commerce magazine; real estate agencies, developers and mortgage brokers; and tourism and historical attractions. Projects spanned periodical publishing; print and broadcast advertising; marketing, public relations and promotion; and collateral and corporate communications. In the mid-80s, I learned periodical publishing during two intense years with the preeminent city-regional magazine publisher in South Florida. It was the heyday of the city-regional genre and high-quality, long-form journalism; community service reporting and A.B.C.-paid circulation were the norms. 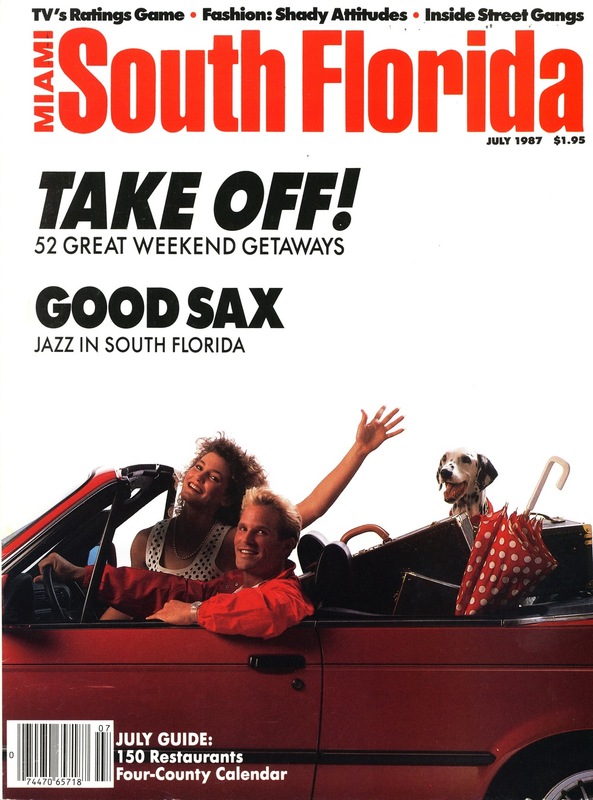 During my tenure, we launched a regional shelter magazine (South Florida Home & Garden); closed an experimental technology publication in New York City; opened a corporate communications consultancy; and successfully sold the company to an out-of-state publisher. I started as the Assistant to the Publisher; I wound up as General Manager and a member of the senior team that explored and evaluated corporate capitalization and exit strategies. I worked extensively with the company's operational systems, reorganizing administration, production, technology, distribution, and advertising sales. 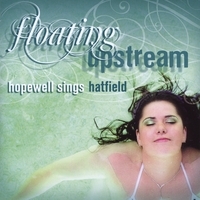 On a fun, little project, I provided professional services—including project management, editing and print production, and online promotion and distribution assistance—to a high school music department, to support the release of Floating Upstream, a commercial-quality CD recorded in collaboration with a well-known international youth composer. The CD packaging included a 28-page booklet of photography and information. The CD continues to be sold internationally via CD Baby. As a paid, full-time staffer for the Bill Bradley for U.S. Senate '90 campaign during a time when Senator Bradley was exploring a run for the U.S. Presidency, I planned and managed large-scale and VIP fundraising events; worked with VIP donors; and wrote internal and external communications, remarks and speeches. I also had the privilege of working as a writer in international news and information for the Secretary of the U.S. Treasury, and working in grant and Board communications for an "executive roundtable" non-profit that led economic recovery efforts in Miami-Dade County. Learn more from my LinkedIn profile. Marketing, communications, content and engagement. Able to see the big picture, identify priorities and drive implementation.